What Does EOS Mean on a Canon Digital SLR Camera? Anyone who has been researching Canon digital SLR cameras, will have noticed many of their names have the letters EOS attached to them. 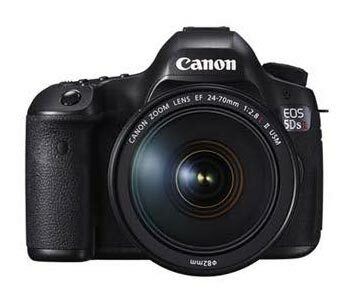 For example, EOS 30D, EOS 1D Mark lll, EOS Rebel etc. But what does EOS mean exactly? Some rumors have it that Canon originally named these cameras after the goddess of ‘dawn’ in Greek mythology, who’s name was EOS. The analogy being, the dawning of autofocus capable SLR cameras. Autofocus of course, refers to communication between camera and lens being completely electronic. This is a really romantic hypothetical answer, yet probably completely untrue. Best we consider what the Canon corporation itself remarks about what EOS means on a digital camera made by them. More recently, Canon described the letters EOS as meaning ‘Electro-Optical System’, of which they have copy-write. Canon first made reference to the term EOS in the late 1980’s when they produced their first auto focus SLR camera. All EOS camera’s made today, still work with the lenses built back then. Many people mistakenly believe that the term EOS stands for some new special feature built into Canon digital SLR cameras. However, as explained above, EOS camera’s have been around for over 25 years and is really nothing new in todays terms. Canon EOS Digital Camera and lens image. EOS means “Electro-Optical System”. This is straight from the Canon Corporation website. Don’t believe those romantic or otherwise explanations. There is no other ulterior meaning to the term EOS than the official Canon website statement. EOS simply means the Electro-Optical System that all Canon cameras now use as standard operating mechanism.